Nitrosamines occur in many everyday items such as beer and other foods, particularly if preserved with nitrites. However, the minimal amount of nitrosamines to be found in such latex products as baby’s soothers, latex gloves and latex condoms is harmless to humans due to the fact that it is nigh on impossible to use enough of these products to have any detrimental effect. 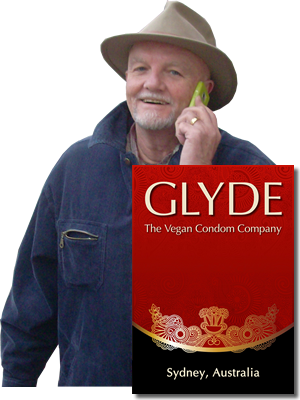 GLYDE Condoms are manufactured using the so called “double dipping process”. Because of this patented procedure, they don’t need thicker walls to be very strong and tear proof. GLYDE Condoms are manufactured using the so called “double dipping process”. This procedure causes a wall thickness of 0,058mm – this is a bit less than the wall thickness of the most standard condoms (0,06 – 0,07mm). Furthermore, GLYDE Condoms have a soft and silky surface. Therefore thinner walls are not necessary for a natural feeling.